Allison Pickens is the COO of Gainsight a customer success and product experience platform. Allison is a speaker, blogger, and host of The Customer Success Podcast. She is also a Board Director and advisor to several companies. She was named one of the top 50 people in sales and business development and top women in SaaS. She joined Gainsight in 2014, and helped grow the company and build the sales and development team. She has always been passionate about organizing and building teams, and that is a big part of her role today. 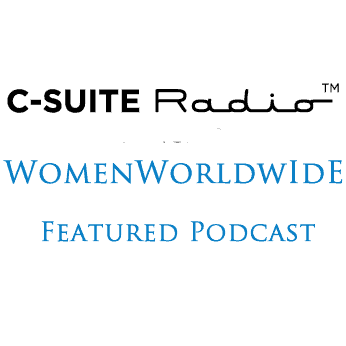 We talk about skills needed for women to make it to the c-suite in one of the roles of CEO, COO, or CFO. Allison shares how she learned to rely on her individual skills and how important it it so recognize the talent in others. We talk about technology, team building, what success means, the importance of perseverance, and more in this episode. [03:20] It would have been hard for Allison to anticipate the adventure she’s been on. [03:40] She has always loved organizing groups. In school, she was president of the athletic committee or the spirit team. [04:26] She also started a women’s leadership initiative in college. [04:37] Organizing communities is something she’s always been passionate about and today, it’s a big part of her role. [04:59] She likes technology and gets excited about the future. She’s also been entrepreneurial and likes building things. [05:49] Requirements for c-level positions vary a lot by company. [06:11] Being able to learn quickly has helped Allison. Learning is a skill, and life doesn’t always teach us how to learn quickly. [07:30] Early in Allison’s career, she had to quickly switch client engagements, and then later on, sectors and opportunities in the investment world. [07:39] Her schedule is really busy, and she’s focused on different challenges every day. This leaves her with small windows for learning. [08:37] She mostly learns through dialogue. Although, she is also a visual learner. [09:31] Problem solving is a huge part of her role. Being able to dive deep and then surface up is important. Looking at patterns is also important. [11:45] They’re also parallels between different fields that can help you learn. [12:31] Type B can step back and connect the dots. Type A runs around and does everything. [16:29] Allison loves focusing on teams. In Lacrosse, you win with an interconnected system. It’s not about any one person. A great team has these connection points. [19:20] Signals that people can be team players includes whether they listen or if they interrupt during the interview. The way they resolve issues in another key. [20:38] The greatest challenge is to mobilize different skill sets and push everyone ahead. Find the balance with yourself and your team members. [23:17] Allison is not an early adopter. She doesn’t adopt a technology unless she sees a clear path with it making her life better in some way. She does understand the tools she uses for work. [25:04] Going for a hike is a great way to get grounded. [26:00] She is active on LinkedIn. It helps her share content. It’s also a great way to stay connected with people she works with in a variety of capacities. [27:55] Alison is learning about herself all the time. One of the things she learned on her career path is that she can persevere. Perseverance and just showing up is a really important factor when it comes to success. [30:33] Allison is working on structuring her day in a way that is effective for her. [33:06] Allison has had some fear with sharing personal stories, but people have been extremely supportive and appreciative. [36:27] Success is having deep relationships that create meaning for her and other people. She wants to follow her values and build communities of people that inspire. [38:21] Be brave, because you might be braver than you think you are.